A destination's history reminds us of where things started and inspires us to keep moving to where we want to be. 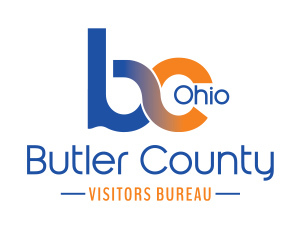 On March 24, 1803, the State of Ohio established Butler County. The county was named in honor of Richard Butler, who was killed in St. Clair's defeat in 1791. It was originally part of Hamilton County. 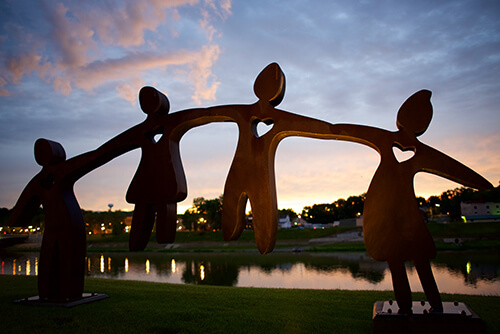 Butler County is rich with historical landmarks, museums, sculptures and historic districts. You'll see many museums and memorials throughout Butler County, reminding you of days gone by. The Canal Museum in Middletown lies on the former route of the Miami-Erie Canal and showcases displays of the canal and the early industry of Middletown. The Soldiers, Sailors and Pioneers Monument in Hamilton sits on the site of Fort Hamilton and prominently displays a 17-foot Civil War Soldier proclaiming victory. In Oxford the Freedom Summer 1964 Memorial, located on the historic Western College campus of Miami University, commemorates the civil rights workers who were trained at the Western College for Women, now part of Miami University. Throughout some of Butler County's oldest communities lie stunning historic gems. The Chrisholm Historic Farmsead in Trenton, built in 1874, was the home of the leading family of the Amish-Mennonite settlement that existed in the early 19th Century and is listed on the National Register of Historic Places. Another historical treasure lies in Fairfield: the Elisha Morgan Farm Mansion. This Fleming Bond brick farm "mansion", is also listed on the National Register of Historic Places, and was built in 1817. Hamilton is home to many stunning historic homes that mark the grand architecture of years past. The city offers walking tours that highlight the area's most notable structures and provides a booklet that details the historical significance of each property. Take an interactive tour of Hamilton's historic landmarks and view the tour booklet by visiting the city's digital booklet: Walking Tours of Historic Hamilton, Ohio. Take a step back in time and experience the most stunning and significant historical landmarks in Butler County. To get started download Butler County History is Here! presented by the Butler County Historical Collaborative. This detailed guide will take you on an informative historical journey, and help you experience our exciting historic places and spaces. The Morgan Township Historical Society Museum features exhibits relating to the development of Morgan Township and the surrounding area. Monroes 1910 building has a long and varied history in our city. The Benninghofen House portrays the lifestyle of a prominent businessman and his family during the latter 19th century, as Hamilton developed into an industrial center. The Black Covered Bridge spans Four Mile (Tallawanda) Creek and is the only covered bridge in Butler County remaining in its original location. The Brookville Cemetery in West Chester is 12 acres and began as a family cemetery in the mid-1800's. This one acre pioneer park was established in 1855 and is located adjacent to the Pater Park Wildlife Area. One of Butler County's foremost active landmarks, this grand four-story structure was built between 1885 and 1889 with Corinthian columns and a mansard roof. This memorial sits in Butler County's Veterans Park and contains over 700 names of local Armed Services heroes from World War I to the present. The Canal Museum is located on the route of the Miami-Erie Canal, which was operational from 1825 - 1929.